The measurement of the velocity at the water surface is one of the oldest hydrometric measuring methods, time-tested and easy to carry out with the aid of surface floats. While float measurements are only temporarily applicable and often error-prone, modern radar sensors can determine the surface velocity in real time and with a very high measuring accuracy around the clock. 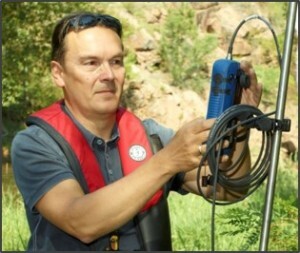 Learn more about the functional principle and the advantages of contact fee surface water velocity measurement with the OTT SVR 100 as well as the application possibilities for continuous flow measurement in rivers, streams and canals (irrigation canals, service water canals). Reliable measurement results and knowledge of the quality of your data, especially in extreme events with high outflows, can make the decisive difference and provide important insights for critical decisions. To be at the right place at the right time is a critical success factor. 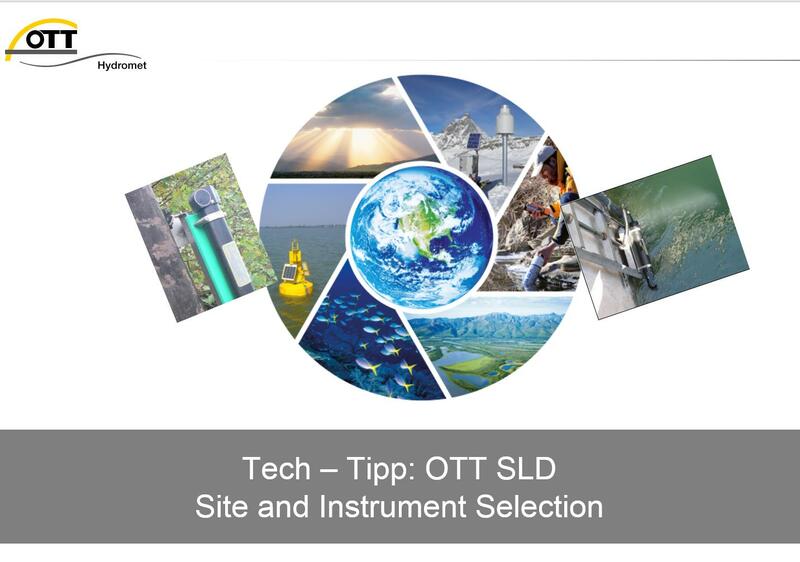 Read the following Tech-Tipp by our flow expert Stefan Siedschlag and learn how to select the best site for you measurement with OTT SLD. Today, a wide range of government agencies, municipalities, utility companies, and private companies need to monitor water flow in rivers, streams, and canals for a variety of reasons ranging from predicting water availability and flood events to allocating water resources and planning for future development. At a high-level, these organizations are concerned with the water flow and discharge of the surface water in a particular area. More specifically, water discharge, which is the volume of water moving through the cross section of a stream or river during a particular unit of time, is typically computed by multiplying the area of water in a channel cross section by the average velocity of the water in that cross section. This measurement is commonly expressed in cubic feet per second or gallons per day. Discharge measurements also take into account any suspended solids, dissolved chemicals, or biologic materials that are transported in the water through the cross section as well. This whitepaper will provide a general guide for taking the necessary steps to calculate accurate surface water discharge measurements, including considerations for selecting the most ideal monitoring site, the technologies available for various site conditions, and how to ensure your systems continuously provides accurate data through modern quality assurance and quality control (QA/QC) methods.